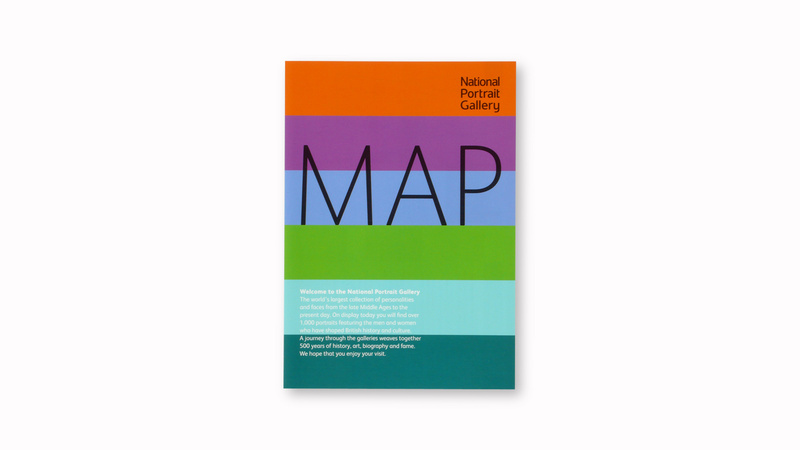 The guide and map for the National Portrait Gallery are designed to inspire gallery visitors to find out more about the permanent exhibition and the highlights of the collection. 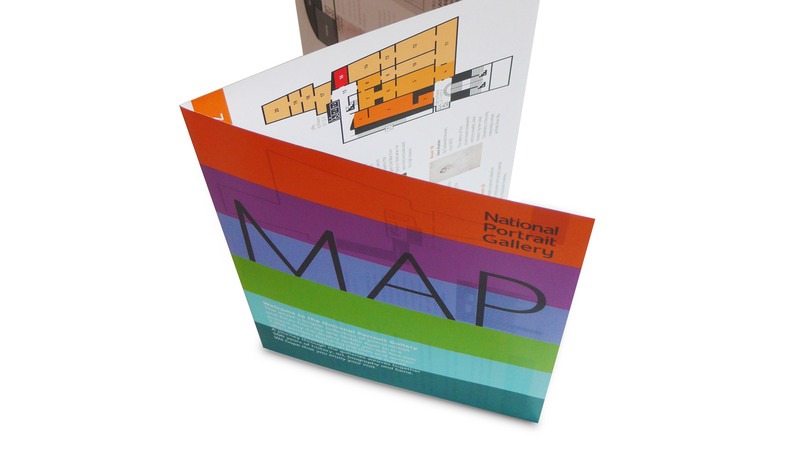 Both the guide and the map have been designed to address visitors of all ages and can be used as companions during the visit and as further reading afterwards. 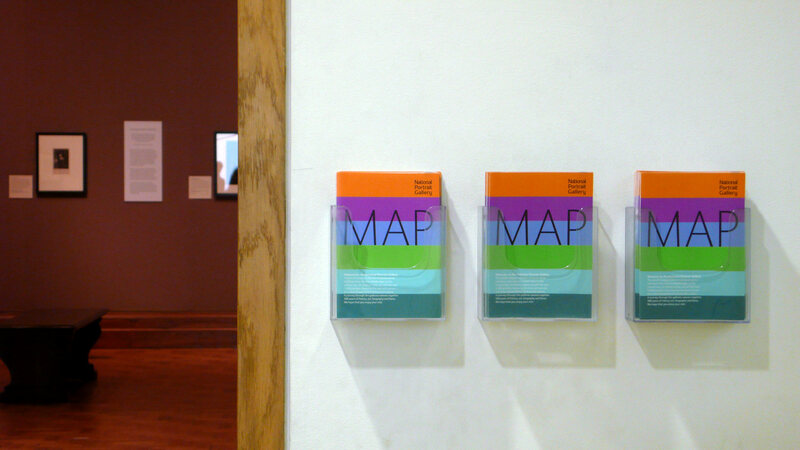 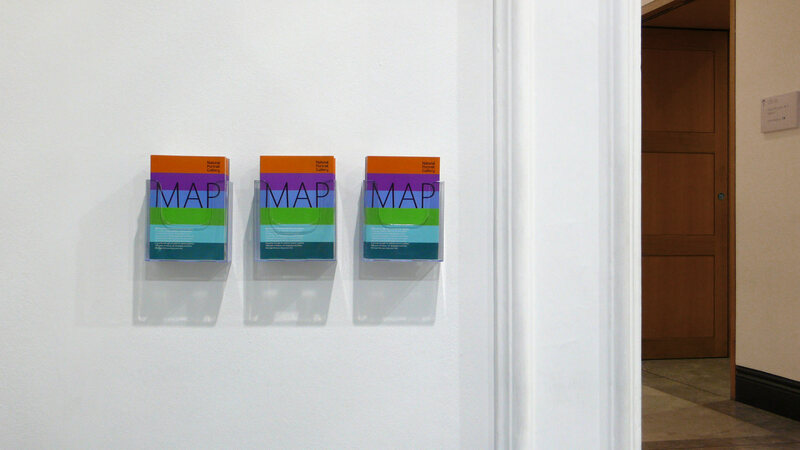 The covers integrate closely with the signage of the Gallery by introducing the idea of colour coding different periods even before the visitor is entering the exhibition. 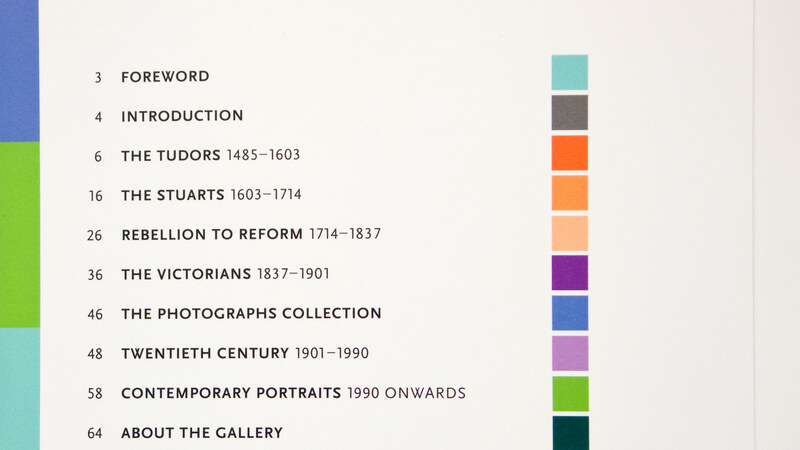 Different levels of information e.g. 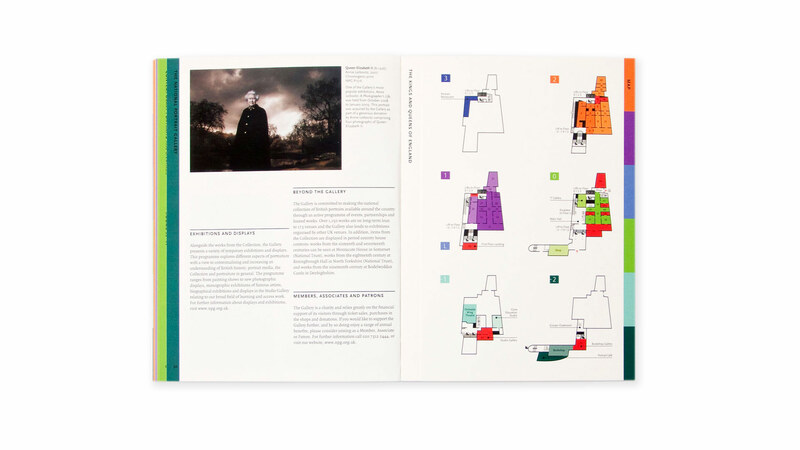 pictures, introduction, the main narrative, explanatory captions and technical information in small feature boxes are presented as ‘bite-size’ chunks. 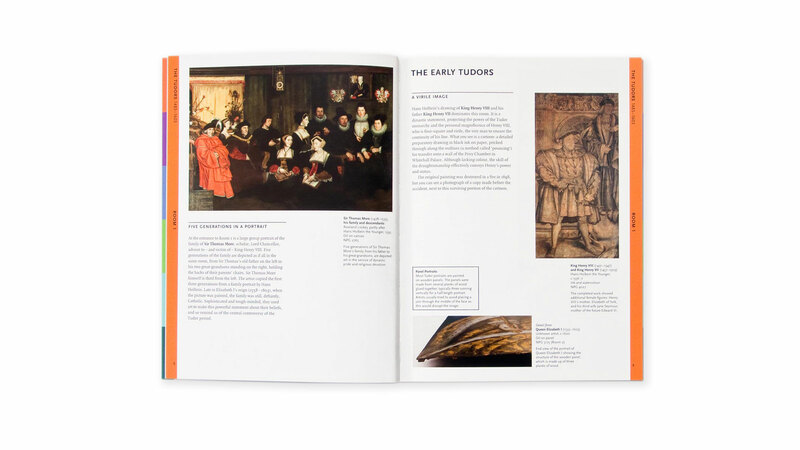 This helps the visitor to access information quickly, whilst at the same time providing a wealth of knowledge for the different target audiences. 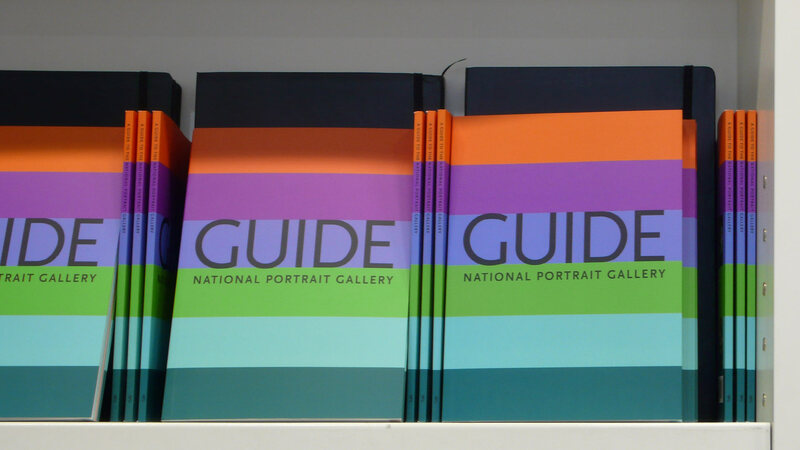 The NPG, as it is known, is London’s storehouse of historical portraits of the great, good and notorious men and women of Britain, located next to the National Gallery in Trafalgar Square. 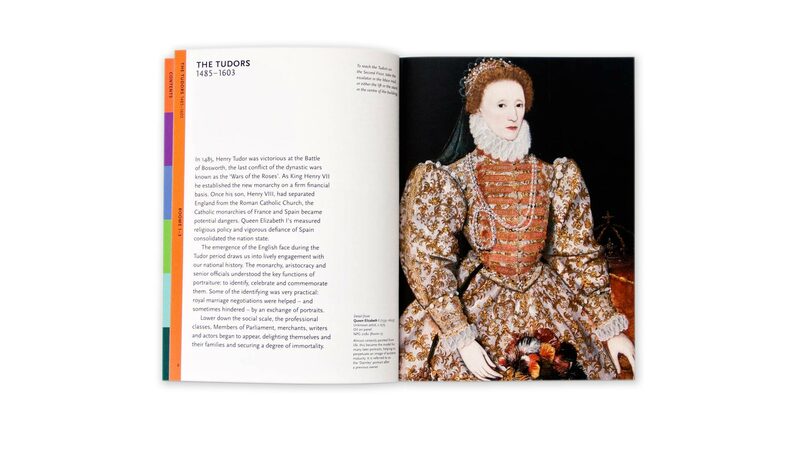 It holds the most extensive collection of portraits in the world. 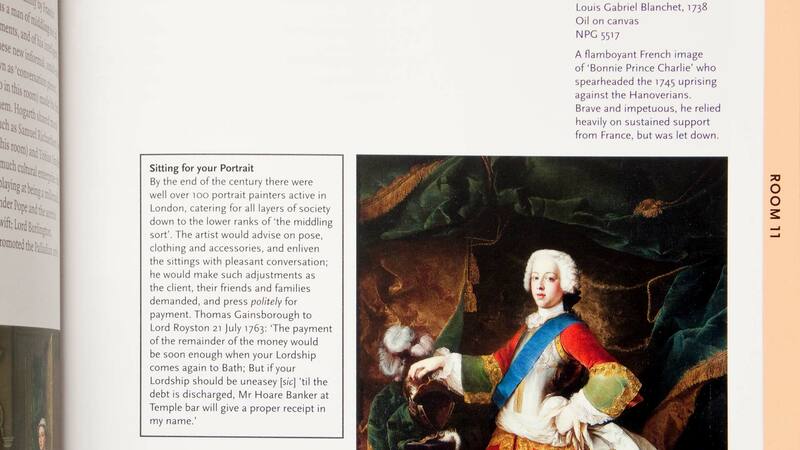 In recent years, the gallery has increasingly become interested in portrait photography.